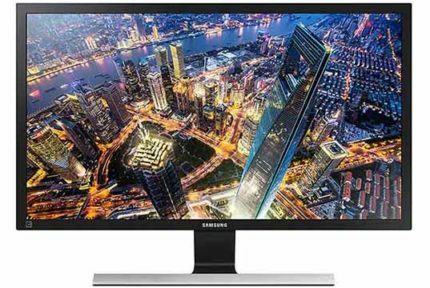 The Samsung U28H750 is a 28″ 4K monitor with a TN panel which uses quantum dots (QLED) to enhance the color gamut of the display. 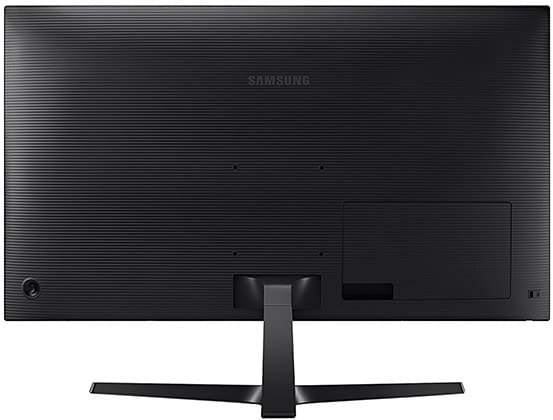 Note that the Samsung UH750 series also consists of a 32″ model, the Samsung U32H750 (U32H850 depending on the region), which is based on a VA QLED panel. TN panels are praised for their rapid 1ms response time speed which removes trailing and motion blur of fast-moving objects; that’s why they are ideal for fast-paced video games. However, such fast pixel transition speed comes at a cost as TN panels also have very narrow 160°/170° viewing angles which make the picture shift in color, contrast, and brightness when you look at the screen from certain angles. Additionally, in comparison to IPS and VA panels, TN monitors have the worst color quality and a mediocre contrast ratio. The Samsung U28H750, however, features the quantum dot technology which boosts its color gamut to 125% sRGB for more vibrant and saturated colors. It also supports 10-bit depth via dithering (8-bit + FRC) allowing for 1.07 billion colors as opposed to 16.7 million colors provided via 8-bit depth. Other panel-related specs include a decent 300-nit peak brightness and a contrast ratio of 1,000:1 which is standard. Now, equally priced IPS panels still provide more accurate and consistent colors whereas VA panels offer a significantly higher contrast ratio (~3,000:1). On balance, the Samsung U28H750 monitor offers an excellent image quality for a TN-panel display, but it’s still behind IPS and VA. And while it does offer a notably faster response time speed in comparison to VA panels, the difference is minimal when you compare it to a 4K IPS monitor. Lastly, 4K Ultra HD resolution ensures stunning detail clarity and plenty of screen real estate thanks to the rich pixel density of roughly 158 pixels per inch. Keep in mind that for PC gaming at 4K, you will need quite a powerful configuration, even for 60Hz. The Samsung U28H750 input lag performance is excellent with only ~10ms of imperceptible delay making it fit for competitive gaming. It also supports AMD FreeSync which synchronizes the monitor’s refresh rate with the GPU’s frame rate in turn eliminating screen tearing and stuttering with minimal input lag penalty (~1ms), unlike VSync which adds significantly more lag. FreeSync is supported over both DisplayPort and HDMI meaning that you can use it with Xbox One. The Samsung U28H750 FreeSync range is 40-60Hz in the Ultimate Engine setting. 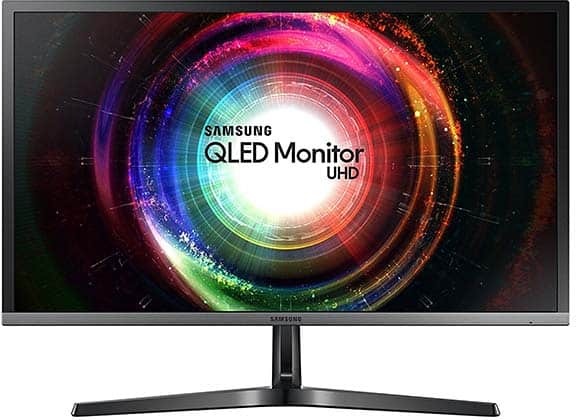 When using FreeSync and an NVIDIA card with DisplayPort 1.2a, the Samsung U28H750 keeps disconnecting, requiring you to power cycle the monitor in order to get it to work with FreeSync again. So, it’s not quite G-SYNC compatible, though this may change with further NVIDIA driver updates. Other interesting features include Black Equalizer (brightens up dark areas in video games), Picture in Picture and Picture by Picture, Eye Saver Mode (low-blue light filter), and Samsung Magic Angle which alters the image quality to best match your viewing position. You will also find all the standard adjustments including brightness/contrast, sharpness, color temperature, and three gamma presets. 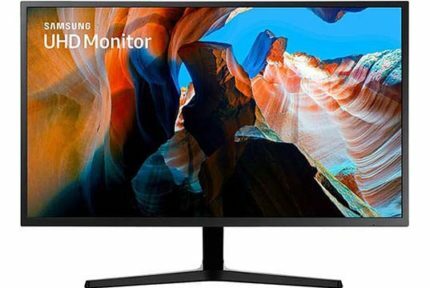 The Samsung U28H750 QLED monitor has a flicker-free backlight, so if you are sensitive to screen flickering, you won’t get headaches after looking at the screen for prolonged periods of time. While the Samsung U28H750 has a tilt-only stand, it’s VESA mount compatible with a 100x100mm pattern. Connectivity options include DisplayPort 1.2, HDMI 1.4 (HDMI1 – 4K 30Hz), HDMI 2.0 (HDMI2 – 4K 60Hz), and a headphones jack. The matte black design consists of thin bezels and slim profile while the base is metallic and provides excellent stability without any wobbling. 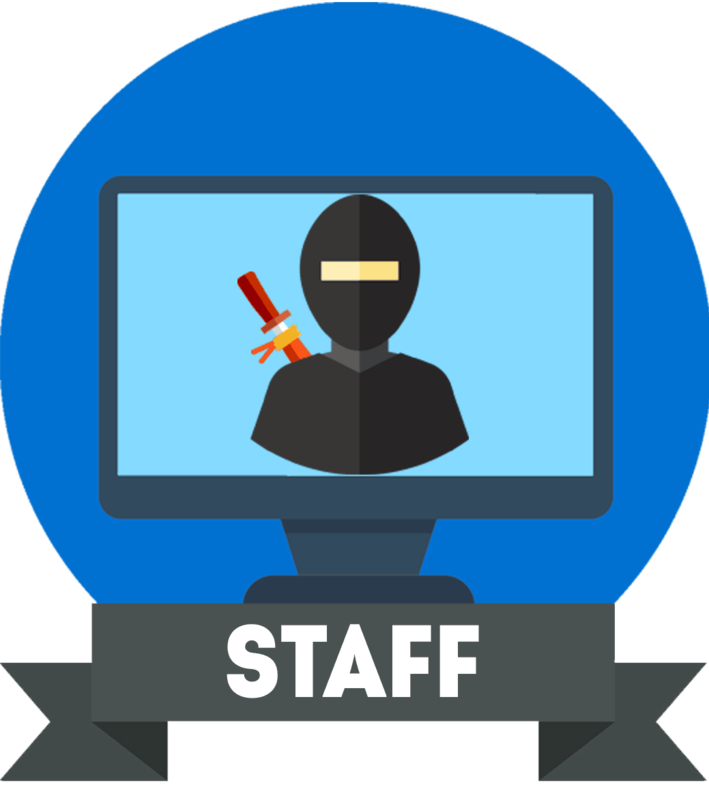 At the back of the monitor, there’s a joystick for easy navigation through the OSD (On-Screen Display) menu while the screen is coated with an anti-glare coating which eliminates reflections. The Samsung U28H750 goes for around $350. For around the same price, however, you can get a 27″ 4K monitor with an IPS panel such as the LG 27UD58 (no FreeSync over HDMI) and the LG 27UK650 (with FreeSync over HDMI and HDR support). These IPS models offer a better image quality and wider viewing angles. Although they have a slower response time speed, there is no prominent ghosting in fast-paced games anyway. In fact, the difference in image quality and viewing angles is more noticeable than the difference in response time speed. 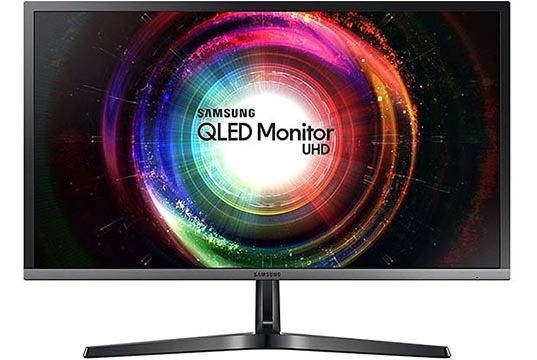 Now, if you’re looking for a 4K monitor for competitive console gaming and want every millisecond of advantage you can get, the Samsung U28H750 is a better choice. But, if you are willing to sacrifice image quality for performance, you should opt for a 1080p/1440p 144Hz gaming monitor for Xbox One and PC gaming instead. For PS4 Pro, the Samsung U28H750 is the best monitor for competitive gaming. It’s a lot better than the BenQ EL2870U, a popular 28″ 4K TN monitor with “fake HDR“. If you’re looking for a more affordable 4K monitor for competitive console gaming, check out the ASUS VP28UQG. We also recommend having a look at our best gaming monitors for Xbox One X and PS4 Pro and best 4K PC monitors buying guides. While the Samsung U28H750 display manages to improve the image quality of its TN panel display and keep the rapid response time speed, there are numerous IPS-panel alternatives available that offer just as a responsive gaming experience and a notably better image quality with HDR, wide viewing angles, and other bells and whistles. The Samsung U28H750 is a great console gaming monitor which offers a smooth performance and an exceptional image quality for a TN-panel display. However, consider the similarly-priced IPS alternatives as they offer almost just as fluid performance, but a better image quality and wider viewing angles.